Mary Elizabeth Pope was raised in Mt. Pleasant, Michigan. She holds a B.S. and M.A. 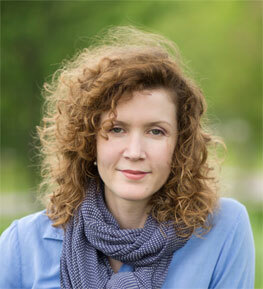 in English from Central Michigan University, and a Ph.D. in English and Creative Writing from the University of Iowa, and currently lives in Boston, Massachusetts, where she is Associate Professor of English at Emmanuel College. Her short stories and essays have been featured in literary magazines such as Florida Review, Bellingham Review, PoemMemoirStory, Passages North, and many others. A Michigan native, she spends her summers writing on the Leelanau Peninsula.